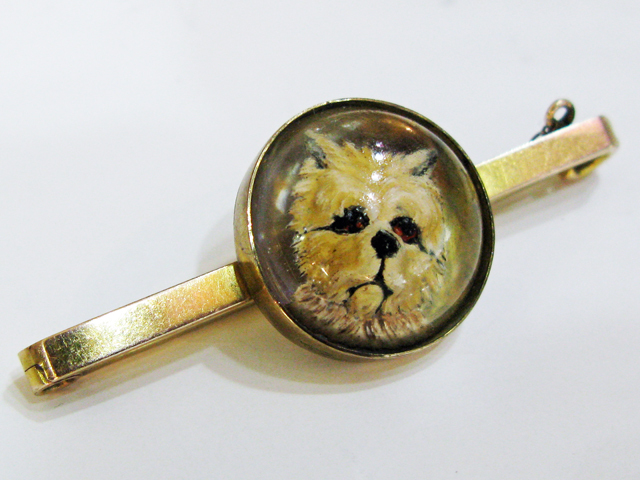 A beautiful Essex crystal reverse intaglio Scottie brooch. These are commonly called Essex (England) crystals; but may have been made by other European artists. The bar of the brooch is approx. 2.0 inches (5.08cm) long and the crystal which is set at an angle on the bar is approx. 0.75 inch (1.905cm) in diameter.